Found 4 file extension associations related to Final Fantasy VIII and 3 file formats developed specifically for use with Final Fantasy VIII. Final Fantasy VIII is a console role-playing game developed and published by Square (now Square Enix) for Sony's PlayStation in 1999 as part of the Final Fantasy series. It was released for Microsoft's Windows-based personal computers in 2000. The game's story focuses on a group of young mercenaries who are drawn into an international conflict, and seek to protect the world from a sorceress manipulating the war for her own purposes. 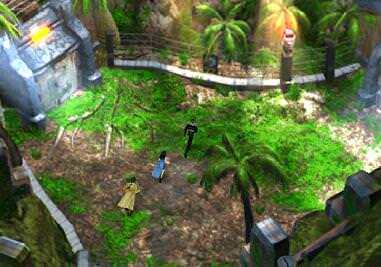 Final Fantasy VIII is a departure from many traditional standards of the Final Fantasy series. It is the first game in the series to consistently use realistically proportioned characters, the first to feature a vocal piece as its theme music, and one of the only titles to deviate from the series' traditional means of increasing a character's power. In addition, it does not have a magic point-based system for spellcasting. If you need more information please contact the developers of Final Fantasy VIII (SQUARE ENIX CO.), or check out their product website.